Hi guys, The Maximuscle Protein Project is now over and, for those of you who don’t already know, unfortunately I wasn’t victorious. The winner was Ollie Ward, a top bloke who made incredible changes, congratulations to him. 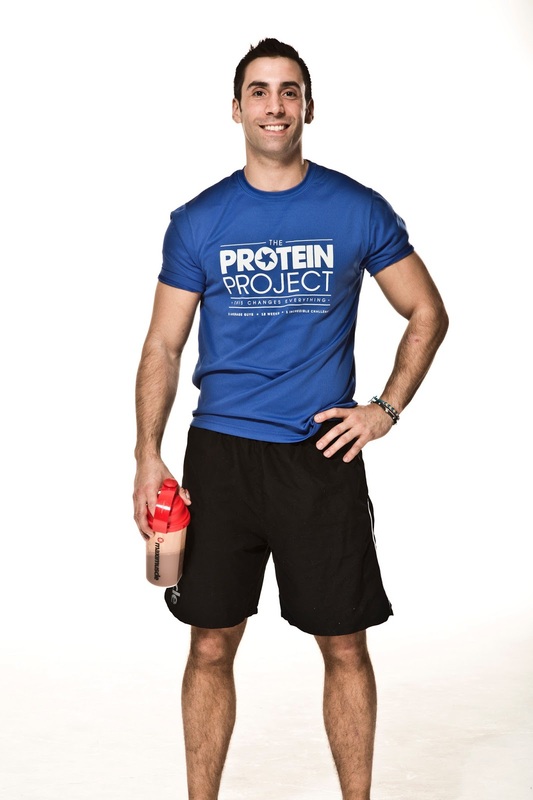 I’ve taken the weekend to think about the Protein Project and allow it all to digest (Ed; understated pun, we like it). It was definitely one of the best experiences of my life and whilst I’m devastated not to have been crowned the champion, I certainly was a winner for being involved in the first place. I took some time, over the weekend, to look back on the past 12 weeks and think about what I had just been through. It’s crazy to think how quickly the time passed and how much I was able to fit in. One particular highlight has been working with the team at Reach gym and especially Rich Tidmarsh. He’s put me through the most intense training regimes I’ve ever experienced and whilst they were (and still are) horribly painful the results have been fantastic. I’ve thoroughly enjoyed working with him, so much so that I’ve already signed up for another six months. If you’re based in South London and you want to take your training to the next level, get down to Reach in Clapham. I also really enjoyed working with Sharmain Davis, Maximuscle Nutritionist, on my diet plan. Sharmain’s wealth of knowledge is incredible; she made it really easy for me to make a few changes to my diet that produced great results. I learnt how diet is integral to your workout goals no matter what you’re trying to achieve. I was always aware of the idea of a balanced diet but it’s not until you really look into it that you understand how that differs between individuals. If you’re not seeing results in the gym try changing your diet and if you have any questions get in touch with Sharmain on twitter, she’d love to help you out: @sharmaindiet. In my previous blogs for Double Coverage I mentioned some of the incredible Maximuscle athletes that I got to work with, including Amir Khan and Paul Daley, it’s hard to pick which session I enjoyed the most because each one brought a new element or challenge. I’ll remember those days fondly, for a long time. Finally, I can’t leave without offering some training and nutrition tips; here are my Maximuscle Protein Project 10 top tips. 1. Intensity. Sessions should last between 45mins and an hour. Keep your workouts intense and you will see better gains. To help with this, plan ahead and know what you are doing before you get there. 2. Early bird. Getting up early when you’re already ludicrously busy may seem ridiculous, but fitting an hour in the gym before work makes the day so much easier. You can crack on knowing your session is done and, what’s more, you burn more calories in the morning. 3. Partner up. Getting a mate to gym with you is key. Motivation can drop really easily, especially early morning, which is why it’s so important to have someone to spur you on. You’ll also work harder: competition is a great driver and having a spotter will help you with the confidence to lift bigger. 4. Make it a habit. Pick your training days and try and stick to them. We’re all used to being habitual at work and fitting your workout time into this makes it so much easier. I go Tuesday, Thursday, Friday, because I have Monday morning meetings and Wednesday is the middle of the week so I like to treat myself to a lie-in. 5. Get your rest. It’s easier said than done, but when you can get to bed by 10.30pm, do it. Your body needs rest time in order to recover and you will see better results if you allow it that time. 2. Be prepared. I found the best way to ensure I’m getting healthy meals all the time is to cook them myself. I’ll cook enough food to last me the week and take it to work with me. To ensure it doesn’t get boring I mix up the spices I use on my meat, the type of carbohydrate (if any) and the vegetable arrangement. To be fair, who really enjoys their lunch at work? Just get it down you. Taste is secondary to nutrition. 3. Use products. It can be really difficult to keep your calorie intake to the right level. This is where nutrition products come into their own, for instance, The Promax Meal Bars are perfect mid-morning or mid-afternoon snack, whilst the Maxi-Milks are a great way to get an extra helping of protein with your lunch. 4. Be creative. You’d be amazed at how many different recipes there are for protein powder. I’ve made Promax brownies, Cyclone cookies, and protein pancakes. What better way to appease your sweet tooth than to have protein rich treats? 5. Reward yourself. Work is hard, training is hard; don’t let this bog you down. Give yourself a weekly treat to keep your morale up. I’ll treat myself to a big steak and chips, or a pie and a pint once a week. It’s not going to be detrimental to my training and if anything it makes me train even harder the next day. Thank you to everyone at Double Coverage for your support. Good luck to all of those involved in BAFL.